Do you know a cupcake fan who’s birthday is coming up? Does that cupcake lover also happen to be a fan of Taylor Swift? Then Taylor Swift’s line of cards through American Greetings has the perfect card for you! I looked through the line of cards at my local Joann Fabrics and spotted the sparkly cupcake card shown above. 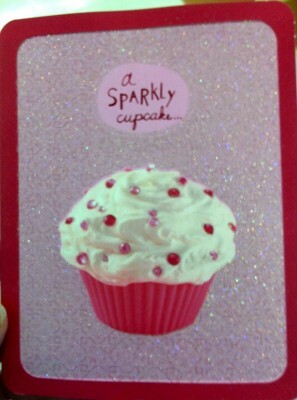 The card reads “a sparkly cupcake…for a sparkly girl. Happy Birthday” and is reasonably priced at $3.49. Good Morning ATC Community! and welcome to the official start of crunch time. These are the days that we second-guess whether we did enough of everything and end up doing too much! If you’re like me, you’ve baked a fair amount of holiday treasures. But holiday week is a bit like a marathon and, in the home stretch, who isn’t looking for fresh ideas to keep inspired? The challenge I set to myself is whether I can come up with a week of images, recipes, and instructions to keep us all – myself included – at 350F from now through next Saturday. 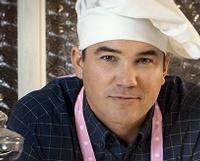 These Baked Ideas images are cookies, but so fresh and original they will inspire your cupcake decorating ideas. Here’s a smorgasbord of cookie decorating ideas from “Baked Ideas” by Patti Paige, along with the Baked Ideas’ Facebook page and the video on the Baked Ideas mini gingerbread houses. 3,000 each season! 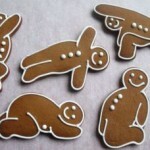 If you’re still looking for last minute gifts, Baked Ideas even sells yoga cookie cutters. How did she do that? 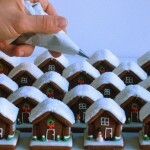 Here’s her video on piping royal icing onto each one of the yoga posed gingerbread men and here’s the Baked Ideas gingerbread recipe. Ah-ha! My Muse gripped that one! 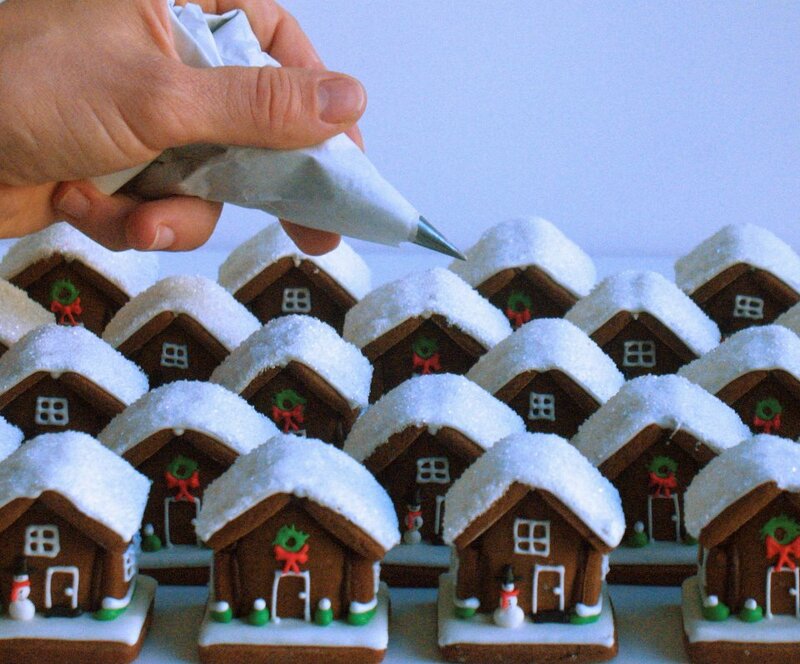 Now that’s what I mean about taking inspiration and giving yourself permission to be creative at the holidays! What’s your idea? Zooey Deschanel likes Cupcake Wars! In this 30 second clip from The Late Late Show with Craig Ferguson Zooey Deschanel and Ferguson plan a cupcake war with delicious results. You all may not know this, but I work for Jenni Bick Bookbinding, an Internet company that sells a variety of items from Italian leather photo albums, moleskine notebooks, day planners, calendars and so much more! And every once in a while we get in a fabulous cupcake item, and this one takes the (cup)cake. We recently got in our 2012 Calendars, and lo and behold there it was, Martha Stewart Cupcakes 2012 Wall Calendar. Anything of Martha’s is visually stunning and very well done, this calendar is no exception. It was designed and put together with us cupcake bakers in mind. They’re two elements that I absolutely love about this calendar– At the bottom of every month/page there is a baking tip or fact. One of my favorite tips is –Save Butter Wrappers for Greasing Pans, rather than discard the wrapper after you’ve used a stick of butter, stash it in the freezer inside a re-sealable plastic bag. When you need to butter a baking dish take out the wrapper, let if soften slighty, and use. The second element that I love, is the recipe cards that are provided for the scrumptious cupcakes displayed within the calendar. You could give Martha Stewart a run for her money with all the knowledge that this calendar provides. Oh Boy, do I have a craving for cupcakes now! Let us know if you tire of hearing about Katy Perry, but she is just such an efficient cupcake queen! Here she is again in all her cupcake might!